The Harley-Davidson Sportster first hit American highways in '57. Since then, it has given many a rider a first taste of the Harley lifestyle. By '62, the Sportster was serving up 55bhp - at just 5,000rpm. That was thanks to its iconic V-twin engine layout. The motor's stroke was a tall 96.8mm. 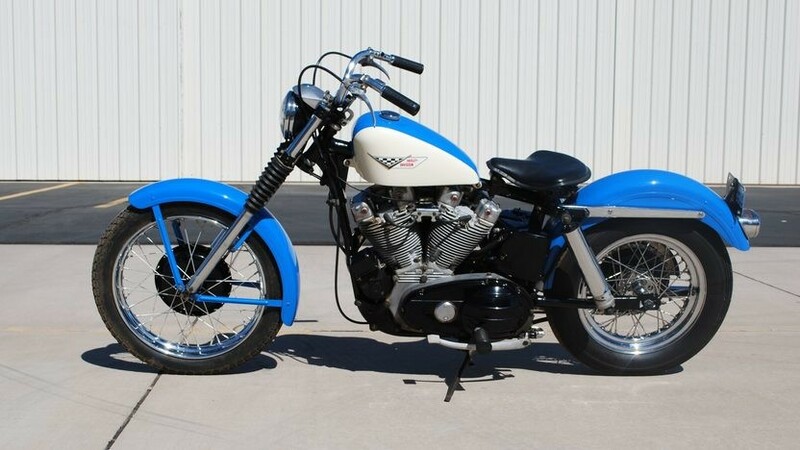 Top speed for the Sportster in the early '60s was 110mph. Prior to that, British-made bikes had been the only way to go - at any real speed, anyway. The Sportster changed all that! The XLCH model weighed in at 485lb. That was light enough for a skilled rider to cruise through corners with relative ease. While hardly the 'sportiest' of two-wheeled machines by today's standards, back in the Sixties it was a lithe and agile ride. The Sportster's small, but perfectly-formed fuel-tank was the focal point of a pleasingly uncluttered design. Complementing it were a diminutive headlamp and low-set 'bars - as compared with many a Harley-Davidson to come, at any rate! A single seat - and slender fenders - were in keeping with the Sportster's minimalistic styling aproach. In marketing terms, the Harley-Davidson Sportster has long been the bedrock of this most prestigious of motorcycle marques. And long may it continue to be so, many an afficionado would say!